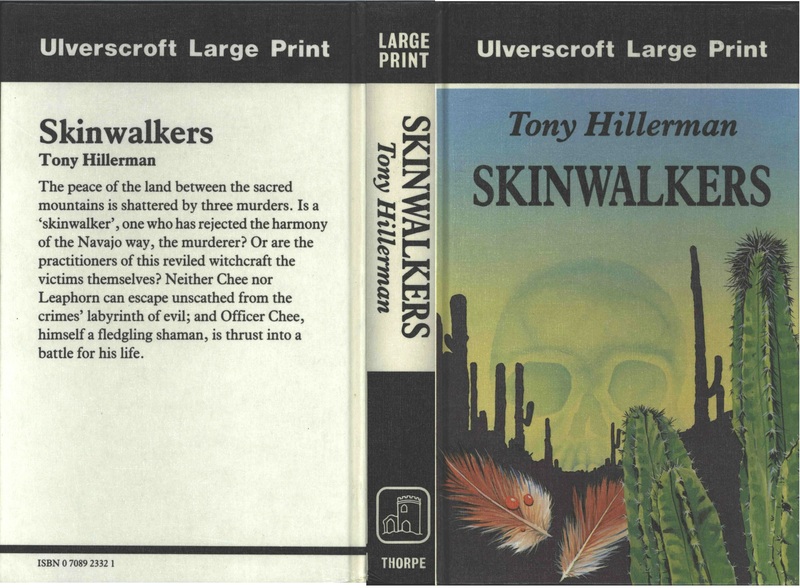 This is the full and detailed views of the dust cover for the British large print hardback edition of Skinwalkers. This edition was published in 1990 by Ulverscroft in Anstey, Leicestershire, Great Britian. 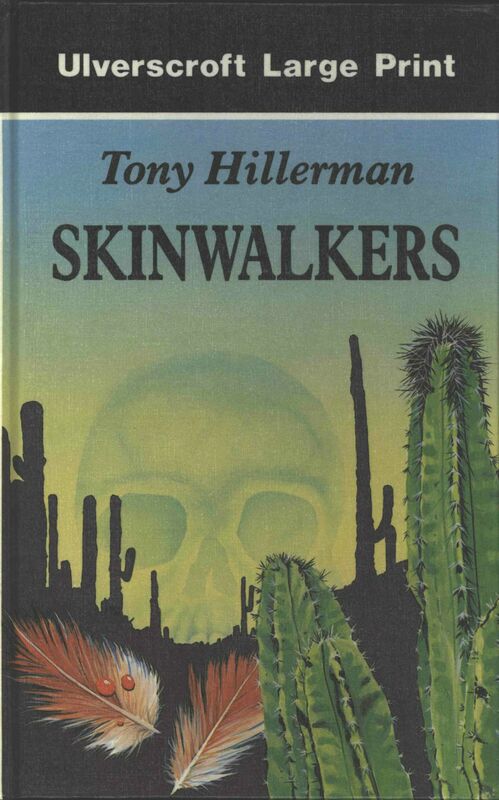 Design and Photography Credits: The cover design is not credited but features a desert scene with two feathers, one with drops of blood on it and a shawdowy skull hovering in the background.